BURNET — Classic cars, trucks, hot rods, and even motorcycles are gearing up for the 14th annual Lake Area Rods and Classics show. The show is 8 a.m.-5 p.m. Saturday, April 22, on the courthouse square at 220 S. Pierce St. Spectators may look for free, while owners can show off their pride and joy for a $20 fee. Owners also will take part in a participation contest in which they will be given five votes to drop into the cans of their top-five favorite hot rods. The vehicle with the most votes wins Best of Show and receives a special award and some cash. The other top 24 receive awards. The event serves as a fundraiser for the club with proceeds going to nonprofits in the Highland Lakes. In the past, money made from the car show has gone to literacy programs, children’s camps, and children’s services. 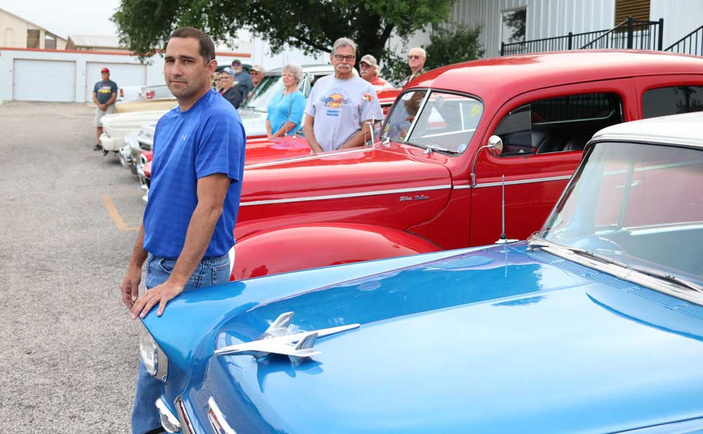 While he and the other club members love their classic vehicles, they all agree that love pales in comparison to the feeling they receive when they give to an area nonprofit. Kidd said he is hoping for 200 vehicles, an increase over last year’s 168, which included two motorcycles. He didn’t let the fact there wasn’t a motorcycle category keep him from giving one of the owners a trophy for Best of Show. Call Kidd at (830) 798-3692 for more information. Go to lakearearodsandclassics.com for more on the club.